The Vogue Milk: Which milk is for you? Gone are the days of whole, low fat, no fat milk. Now one can choose milk from other animals such as a goat or from other plants like hemp! Whether you have food allergies or practice a vegan lifestyle, milk options are as plentiful nowadays as fast-food. But which option is best suited for you? Moms, these milks are not equivalent to breast milk and or formula and should therefore never be substituted for a child less than one year old. Milk’s Muscle: Most Important To Consider – First and foremost consider the percent of calcium, Vit D, and Vit. B12; next consider how many grams of protein, calories, and for some people even the level of carbohydrate. 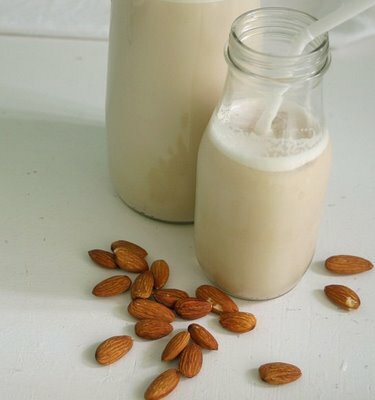 For Vegan or Even Vegetarian Diets: Almond, Cashew, Oat, Hemp or Rice – look for a milk high in calcium with at least 30-50% calcium. The milk should have B12 since B12 is otherwise deficient in a vegan diet. For Food Allergies (spec. food allergies like dairy and soy): the right choice is rice milk but make sure it is enriched in calcium, and Vit D. Be sure to get protein through food, since rice milk is not a significant source of protein. For Food Intolerances: If you have lactose intolerance you may want to try soy, oat or cashew milk. Goats’ milk does have lactose however each individual must experiment with each type of milk to see what is most easily digested. For Diabetes: Consider unsweetened soy milk for only 4 grams of carb/serving (Silk Brand specifically). Be wary of flavored milks and milks lower in protein (< 6-8 grams pro/serving). For One Stop Shopping: Consider skim milk or 1% for great taste, a good source of calcium, Vit. D and protein. It is equal to one carbohydrate exchange being that one serving of milk equals 12 grams of carbohydrate. For Children ages 1-2: Whole milk is recommended between ages 1 and 2 unless a child has a food allergy or has been advised otherwise by their medical doctor.